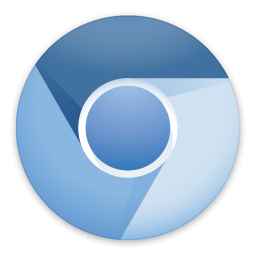 The chromium browser has a built-in WebSockets server which can be used to control it. I first heard about this through an issue with my WebSockets project. Since I am currently rewriting the WebSockets library to have it use io-streams, I wanted to give this a try and made it into a blogpost. As a sidenote – the port is going great, io-streams is a very nice library and I managed to solve a whole lot of issues in the library (mostly exception handling stuff). Note that this code uses a yet unreleased version of the WebSockets library – you can get it from the github repo though, if you want to: check out the io-streams branch. That webSocketDebuggerUrl is the one we want. Let us write some Haskell code to automate obtaining it. ChromiumPageInfo <$> obj . : "webSocketDebuggerUrl"
Nothing -> error "getChromiumPageInfo: Parse error"
What is left is a simple main function to tie it all together. This is a very simple example of what you can do with Haskell and Chromium, but I think there are some pretty interesting opportunities to be found here. For example, I wonder if it would be possible to create a simple Selenium-like framework for web application testing in Haskell. Thanks to Gilles J. for a quick proofread and Ilya Grigorik for this inspiring blogpost!